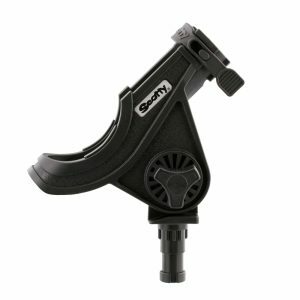 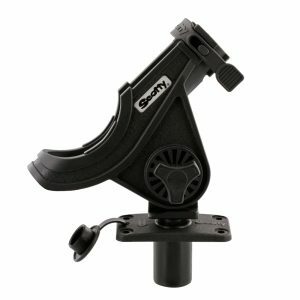 The Baitcaster / Spinning Rod Holder is designed to hold a baitcaster reel in a cushioned cradle. 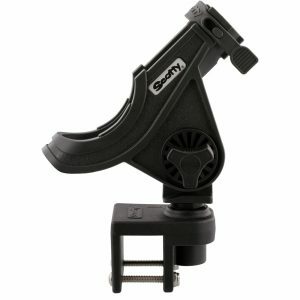 The slot in the front of the Rod Holder allows for a spinning reel to be securely held in position also. 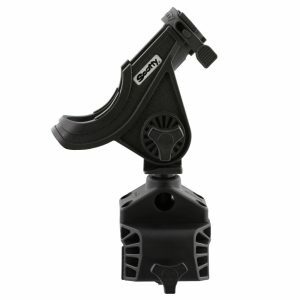 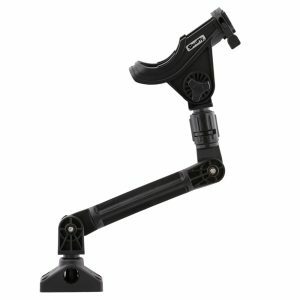 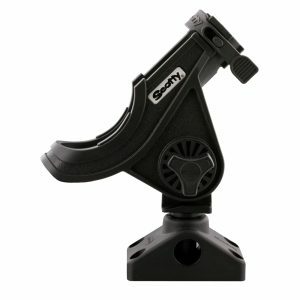 The Rod Holder design has a side mounted flange, which leaves the bottom open, accommodating rod trigger grips. 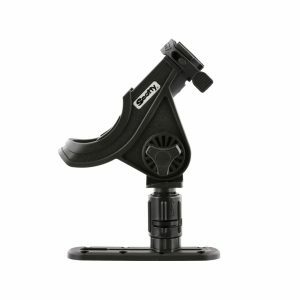 The pistol grip rod butts easily clear the sides of the Rod Holder for quick rod retrieval. 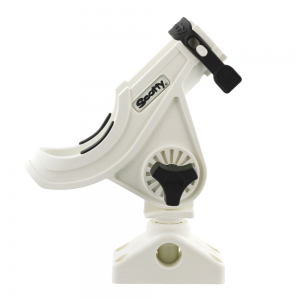 A fishing rod can be secured with a soft latching strap which snaps over the top of the Rod Holder. 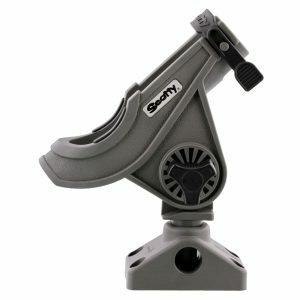 This item is by far the Rod Holder of choice for Bass Fishing, Trout Fishing and other small species, making it great for lake boats and kayak fishing setups.